XSEED Games announced localization for several games heading to the west throughout the year, such as Bullet Witch, Senran Kagura Reflexions, Senran Kagura Burst Re:Newal, and Fate/Extella Link. Bullet Witch was originally a game released as an Xbox 360 exclusive back in 2006, and is now releasing on PC for Steam and the Humble Bundle store on April 25. During the launch week, it will come with a 10 percent discount that will eventually settle at $14.99. This PC version also includes all costumes and bonus missions along with the promise of improved graphics in every area. Senran Kagura Reflexions, launching exclusively for the Nintendo Switch, is expected to release this summer. The title will supposedly be available on the eShop like it was in Japan. Although no price has been decided yet, DLC characters of Yumi, Murasaki, and Ryona are confirmed and to be released after the initial launch. 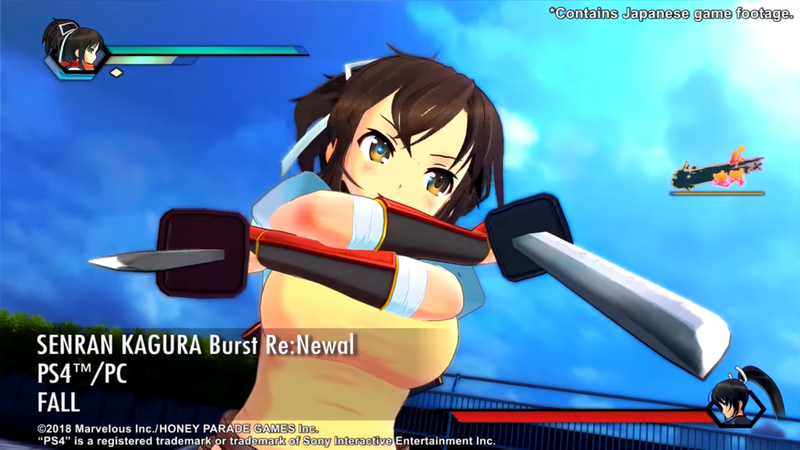 Senran Kagura Burst will be released on the PS4 and the PC in the fall. A physical copy of the game will be available for PS4. With both versions, the DLC chapters of Yumi and Miyabi, a prequel to their meeting with Asuka and Homura, will also be introduced to the games when they make it to the west. Fate/Extella Link is announced to release in the winter on the PS4 and PS Vita. This game, unlike the others, has not mentioned any attached DLC. With character reveals still underway, XSEED has not announced that its western counterparts will get the same released characters like Robin Hood, who was just confirmed last month.